Most of you know by now that I have a fascination with the Crusades. No surprise, then, that I look for fiction about that time period. 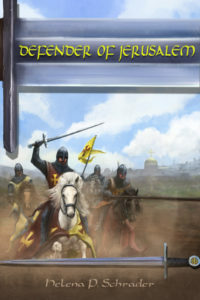 That led me to Helena P Schrader’s book, Defender of Jersualem, and its sequel, Envoy of Jerusalem. While our books are very different (as, I suspect, are our feelings about the period in general) it’s an epic tale about an interesting character. the mastermind behind the coup attempt against Hitler on July 20, 1944. 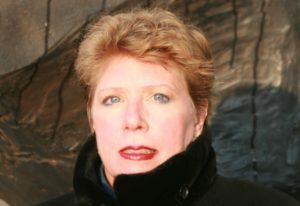 She has published numerous works of non-fiction and fiction. As a novelist, she has focused on historical and biographical fiction. She is a career diplomat currently serving in Africa. So your first book starts a few years before mine, and the new one ends after. What’s your series about? “Defender of Jerusalem” and “Envoy of Jerusalem” are two parts of a biographical novel about Balian d’Ibelin. Some readers may remember that Balian was the hero of Ridley Scott’s film “The Kingdom of Heaven.” Indeed, it was the Hollywood film that sparked my interest in this particular period in history. After seeing the film (while working on a completely different project), I started wondering how much of it was true. A quick check revealed that Balian d’Ibelin was not only a historical person (who did some of the remarkable things portrayed in the film), but also that he (the historical Balian) was a more important historical figure than the film character made him out to be. My curiosity ignited, I did more research and was soon intrigued and captivated by the man, his age, society, and his contemporaries–such as his royal Byzantine wife, the Leper King, the near-pirate Reynald de Chatillon, Richard the Lionheart, and Saladin. 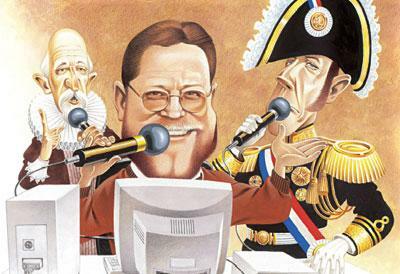 While I follow the historical record and alter no known facts, the books go beyond those facts to give the reader insights into a whole cast of fascinating historical characters and a complex society at a critical moment in history. The Second Crusade in particular was a bit of a mess. What is it about that period that fascinated you? Balian lived in the crusader Kingdom of Jerusalem in the decade immediately before and after the devastating battle of Hattin. That was the battle in which the Muslims under the Kurdish leader Saladin virtually obliterated the Christian fighting forces in the Holy Land. This victory paved the way for the capture of Jerusalem and occupation of the rest of the kingdom, triggering the Third Crusade. The Saracen leader Saladin – in contrast to what Hollywood would have you believe – was a devout Muslim, who had declared jihad against the crusader states and vowed to drive them into the sea. He was opposed, not by fanatics ala “The Kingdom of Heaven,” but by ethnically diverse states with Christian – not a Muslim – majorities. Furthermore, these states were highly urbanized, economically dynamic and characterized by a sophisticated legal system and flourishing culture. Although almost obliterated after Hattin, these states recovered and re-established themselves to survive another hundred years. Saladin failed to destroy them in part because of the strategic genius of Richard the Lionheart – but even more because of the tenacity, resilience and courage of the natives and lords of Jerusalem–led by Balian d’Ibelin. Indeed, while the King of Jerusalem was taken captive and later marginalized and deposed, Balian fought his way off the field at Hattin, commanded the defense of Jerusalem, and ultimately negotiated the truce between Saladin and Richard the Lionheart. He was referred to as “like a king” by Arab sources, and his descendants would marry royalty and be regents more than once. This was an exceptional man who proved his worth both as a warrior and a diplomat. His story is relevant today because we again find ourselves confronting jihadists and so forced to define who we are, what our values are, and which of our values we can sacrifice for security and which we must be prepared to defend with our lives. These books are as much about who we are today as about Balian d’Ibelin, the Leper King or Saladin. What are your favorite parts of the story? There are no spoilers in books based on history. Everyone knows the plot and the ending – or can find out – without reading the books. And there are so many great scenes in both books because history is so full of surprises and moments of great drama! Balian arriving in Jerusalem unarmed on a safe-conduct from Saladin to remove his family–only to be tumultuously received by a population expecting him to take command the defense, is one such historical moment, or the (true!) moment when Saladin’s banners are tossed down from the walls of Jerusalem just as Saladin says he won’t negotiate for a city he already holds. But if I have to choose one scene from “Defender of Jerusalem,” a scene that is based more on my exploration of historical events and personalities than the naked facts, it would be the moment after Balian leads a break-out at Hattin and crashes over the steep slope to the Sea of Galilee–only to realize that barely 3,000 men are with him and on the plateau behind him the king, the bulk of the army and the True Cross are being slaughtered or captured. He realizes that the kingdom is lost, but 3,000 mostly wounded and desperate men are looking to him for leadership. He doesn’t have time to grieve; he has to keep leading. As for “Envoy of Jerusalem,” my favorite scenes are those in which two worlds clash—not Christian vs Muslim, but native of the Holy Land vs. crusader, i.e. the scenes in which Balian and Richard the Lionheart confront one another with incomprehension at first, but gradually with greater and greater respect and trust. 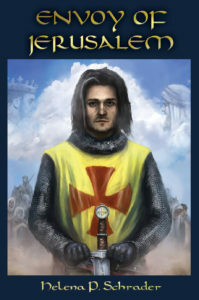 Defender of Jerusalem is available in paperback or ebook format on Amazon by clicking here. Envoy of Jerusalem will likewise be available for order in both formats from online or local retailers.